Ok New Year’s fans it’s only the second week of the New Year, and I’m tired of my family being sick. We all have had a cold and cough for the past week or so, every single one of us. Sneezing, coughing, kleenex, cough syrup, cough drops, Emergen C. I did not have a big enough stock pile for all of us to have colds at the same time. Yikes!! Break out the Lysol, Clorox wipes, and hand sanitizer. This thing has got to go away, enough already. This is southern California for heaven’s sake. Land of sunshine, and warm weather. We should be at the beach or Disneyland, not sitting at home sniffling, and coughing. This cold has been seriously eating into my New Year’s resolutions to get fit, and healthy. What’s a girl to do. What we’ve been doing is watching a ton of movies, and we got hooked on this PBS series called Doc Martin. My parents recommended it, and we are hooked. And of course we’ve been drinking lots of water, eating lots and lots of soup (most of it home-made too! ), getting plenty of rest, and just taking care of one another. Travel Man is scheduled out of the country next week, I’m only slightly worried because he got the cold thingy first and is a few days ahead of the rest of us, and finally feeling pretty good. I know he’ll be fine, he just has to remember to drink lots of water. Let me know how the cold factor is fairing in your neck of the woods. Is your family flying through winter unscathed by the cold and flu? Or is your house a cold battle zone? 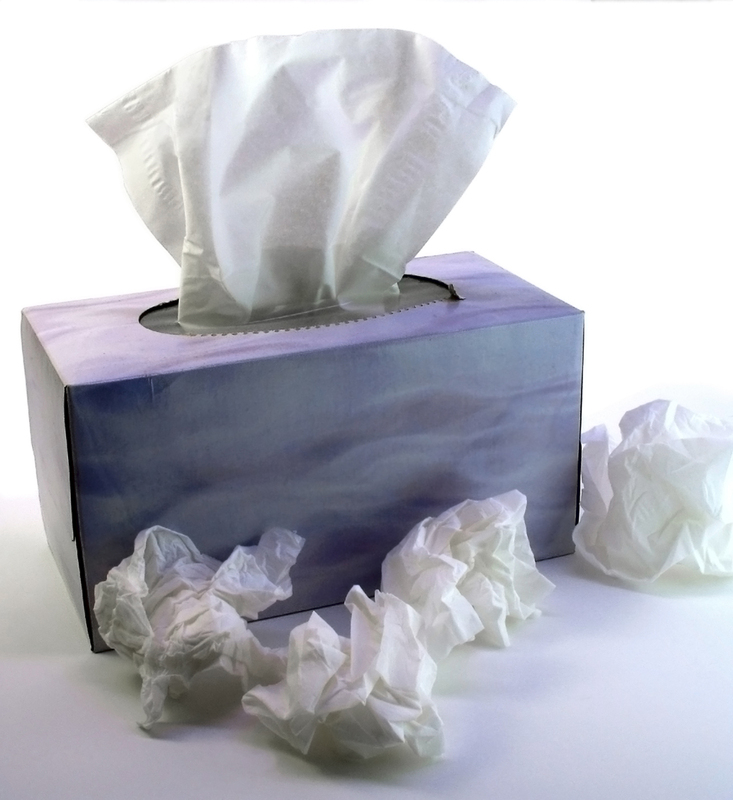 I’m off to get some kleenex, the soft variety of course. Hope you all have a great weekend.